US authorities have declassified hundreds of videos chronicling the country’s 20th century nuclear weapon tests. 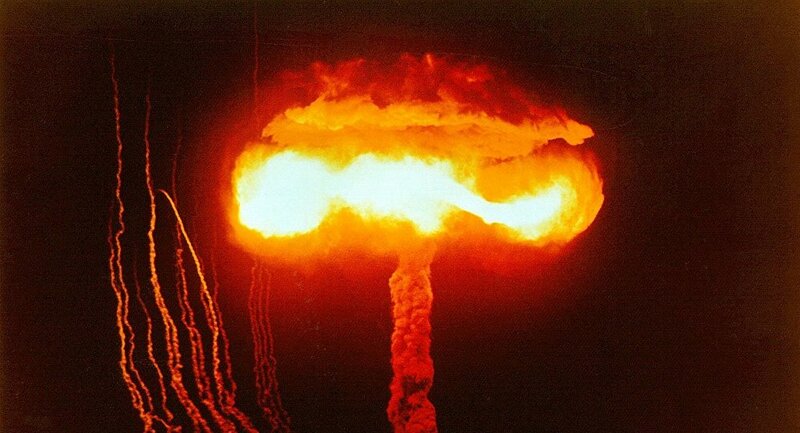 The US government has declassified about 750 of the estimated 10,000 films created during the 210 atmospheric nuclear weapon tests conducted by the country between 1945 and 1962. A portion of these videos had already been made public due to the efforts of a team of Lawrence Livermore National Laboratory (LLNL) scientists who spent the last five years collecting, scanning and reanalyzing these films. Gregg Spriggs, a weapon physicist at the LLNL who works on the project, explained that the team’s work has a certain sense of urgency as the original films are made of nitrate cellulose and slowly decompose over time. "You can smell vinegar when you open the cans, which is one of the byproducts of the decomposition process of these films. We know that these films are on the brink of decomposing to the point where they'll become useless. The data that we're collecting now must be preserved in a digital form because no matter how well you treat the films, no matter how well you preserve or store them, they will decompose," Spriggs said. A portion of the declassified videos has been published via the LLNL official YouTube channel.